I confess. I am a snacker at ♥. I know some people just don’t snack. They eat their 2-3 main meals per day and nothing in between. I my friends am NOT that girl. Often I prefer to have snacks rather than meals. But not just one or two snacks. More like a personal ‘buffet’ of all things snacky. You see, my husband is not a snacker. Because well, tough guys don’t snack. Hee Hee! SO any and all snacks in the house are for me, myself and I. 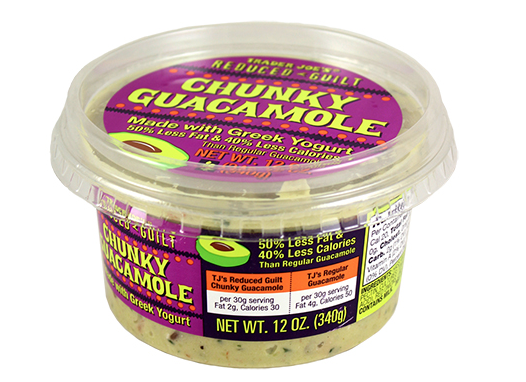 A little guac, some hummus, a couple bites of scrumptious cheese, some raw veggies and maybe even a couple spoonfuls of full-fat Greek yogurt. That sort of stuff just makes my heart smile. It is like a party – but I am the only one there. After all, snacks are delicious. Right? I am just sayin’. Therefore, as a Registered Dietitian you probably don’t find it odd that I get tons of questions about snacks. I was trying to think if I could come up with a universal guideline when it comes to snacks. Then it hit me – mid ‘buffet’ line at my very own house: snack from the fridge NOT your cabinets. Fruit, veggies, yogurt, single-serving hummus & guacamole, cheese, and even leftovers are all super-duper healthy snack-a-roonies that all live in your refrigerator. Compare them with the snacks like chips, crackers, sweets and treats that typically reside in your kitchen cupboards. Therefore, looking to your your fridge when you get the munchies should be a no-brainer! Set yourself up to succeed with healthy snacking by being proactive. Stock your refrigerator with healthy (and delicious!) options and make a solid effort to prep them ahead. Wash and slice fruits and veggies BEFORE you even put them away when you return from the supermarket. Rock your Instapot to hard boil a half a dozen eggs. Can I say game changer! Or if you are super lazy grab some precooked hard boiled eggs from Traders. And no – they are not as sketchy as you might think. Stash leftovers in single-serving clear containers (so there is no guessing what is in them!). No leftovers? Pick up a ¼ pound of chicken or tuna salad from the deli. Both make for delicious snacks. Buy single servings of cheese like Baby Bels, mozzarella sticks and Laughing Cow. Then arrange your refrigerator so the healthier foods are front and center, making it more likely that they’ll be the first thing you reach for when you’re hungry. Easy peasy! Now sit down and high five yourself. You worked hard. No get yo’self a snack. P.S. Never. Ever. Ever. Grocery shop when you are hungry! 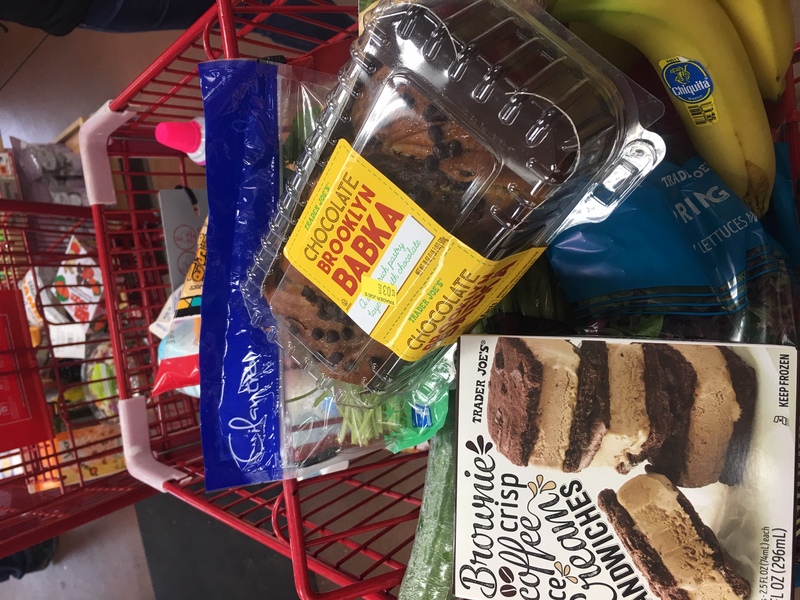 Here is actual footage of my cart at Trader Joe’s last week. I kid you not! There is pretty much about $150 worth of snacks in that cart 🙂 At least I bought bananas, right? Even dietitians have less than stellar days!